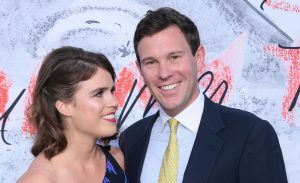 Princess Eugenie is notably one of the more laidback members of the royal family, with her own personal Instagram account and a job at an art gallery, however her wedding is set to be even stricter than her cousin Prince Harry’s. Ahead of her wedding to Jack Brooksbank on October 12, it’s been revealed that apparently she and Brooksbank are going to be ramping up the dress code for guests and a sight posher than Meghan and Harry’s. 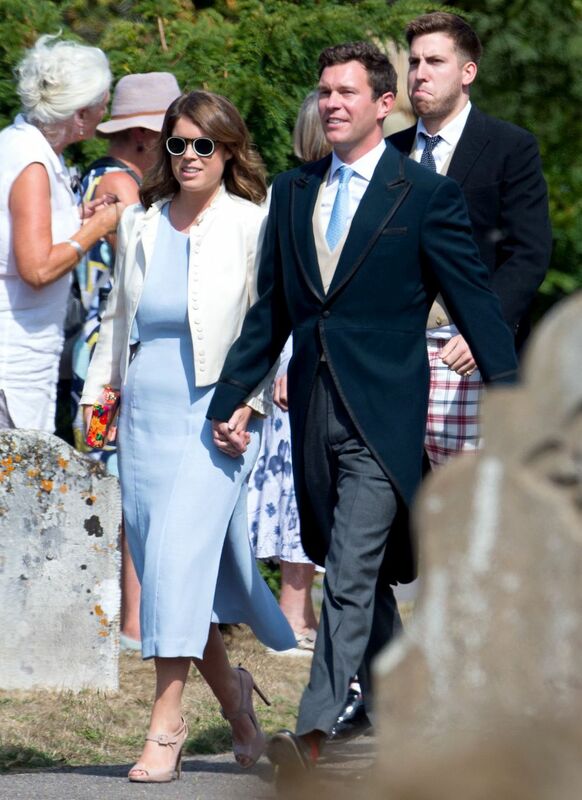 According to Town & Country, Princess Eugenie and her husband-to-be Jack Brooksbank will be expecting their male guests to wear morning coats on the day. It’s a step up from Meghan and Harry’s earlier this May as according to the outlet, ‘men could wear military uniforms, morning coats or lounge suits’. It made sense TBH for the Sussexes to have a slightly more relaxed code, as Prince Harry previously served with the military – he, his brother and Prince Charles all wore their crimson colours on the day. As for the allowance for lounge suits, morning coats are typically a British tradition that their American guests may not have been up to speed with. However as neither Brooksbank and Eugenie have military credentials, they’ve opted just to go with a standard morning coat for everybody. As for the ladies who’ll be attending the wedding, Express reports that they’ll be expected to wear ‘day dresses and hats’; similar to the expectations Meghan and Harry had of their guests. (Who can forget Amal Clooney shutting down the whole damn show with her canary yellow look?) While we there isn’t an official list of celebrity attendees who’ll be coming along, we’re expecting some pretty high profile names to be digging wedding guest dresses and coats out of their closets including Robbie Williams, the Clooneys, Beckhams and Elton John. Given that we can barely wrap our heads around most dress codes – seriously, everybody needs to come to a consensus on what smart casual means – picking the perfect outfit for a royal wedding sounds like a total minefield. According to one royal expert, there’s a chance Eugenie and Jack have gone above and beyond to make sure their guests get the message. Jack and Eugenie will be getting hitched at St. George’s Chapel in Windsor on October 12, the same venue where the royal wedding earlier this May was held. It’s set to be a pretty big one as 850 guests are expected to be in attendance and they’ve also formally invited the public, opening up the grounds for people to watch them as they wedding party proceeds past. The post Princess Eugenie’s wedding dress code is a step up from her cousin Prince Harry’s appeared first on Marie Claire.